Okay, so not the most exciting of reasons but a great one nevertheless. One of the best things about print is that it isn’t electronic! Apart from the fact that we all stare at screens way too much these days, GDPR (General Data Protection Regulations) and, more specifically, PECR (Privacy and Electronic Communications Regulations – soon to be replaced by ePrivacy) are making it much harder to communicate electronically without the specific ‘opt-in’ of your audience. Print, being non-electronic, means it does not require a specific opt-in agreement from your recipient, you do still need to give your recipients an opt-out option, and manage that process well to avoid breach. More importantly, you will also need to show there is a ‘legitimate interest’ in sending your recipient whatever (hopefully beautiful) piece of print you are planning to send them. So what is a ‘legitimate interest’? We’ll point you to more authoritative links at the bottom of this article but, if you have spent time and money designing and printing a beautiful and relevant mailer to send to a perfectly targeted database, you probably have a ‘legitimate interest’. 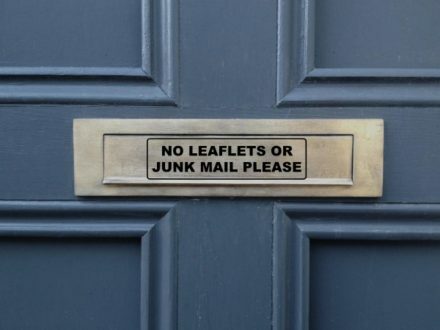 Our experience is that few organisations intentionally post out pointless, untargeted and irrelevant mailings, it’s a waste of money and you’ll probably not pass the ‘legitimate interest’ clause. So, in general, if you need to send something that you feel needs sending, to someone who you think will be interested to receive it, and you can provide and manage an opt-out system, then print is the way to go. Let’s get the presses rolling! This is just one of the great reasons to opt for print in 2018 with more great reasons to follow, the best one being that, if you do it right, recipients just absolutely love it. Don’t forget, we do loads of other stuff, not just direct mail – give us a call if you need beautiful brochures, posters, banners, pop-up stands, signs, design, fulfilment etc! We are printers and the above is just an opinion and interpretation – it is offered without liability and you must satisfy yourself about your organisations need for consent, legitimate interest and the wider GDPR requirements of how you manage your data and document your processes. Full and official information can be obtained from the Information Commissioner’s Office, further guidance can also be found at the DMA.